Having an XML sitemap can be beneficial for SEO, as Google can retrieve essential pages of a website very fast, even if the internal linking of a site isn’t flawless. The sitemap index and individual sitemaps are updated automatically as you add or remove content and will include the post types you want search engines to index. Post Types marked as noindex will not appear in the sitemap. To learn more about how to noindex see: How do I Noindex Urls ? Click on the 'Features' tab. Toggle the 'XML Sitemaps' switch. To enable the feature, toggle the switch to 'On'. To disable the feature, toggle the switch to 'Off'. Click the question mark for the XML Sitemap feature. Want to add an external sitemap? Use this guide. Are you having issues with your sitemap? Maybe you need a different guide after enabling the sitemap. Is your sitemap not updating? Do you wonder why it shows grey links? Is your sitemap a blank page? Or are you looking for common XML sitemap errors? 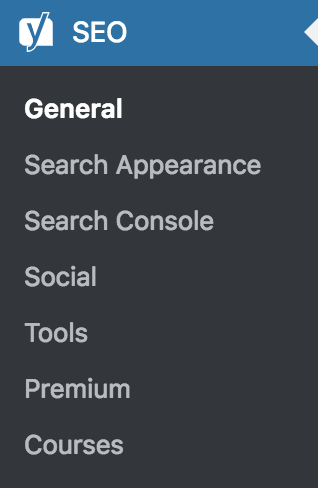 You can also use our search bar at the top to search for your specific issue. If you have a sitemap that is located on example.com/sitemap.xml, your sitemap is not being generated by our Yoast SEO plugin. It is probably generated by Google XML Sitemaps or another XML sitemaps plugin. Please disable other sitemap plugins and remove any sitemap files via FTP before enabling the sitemaps in our plugin.